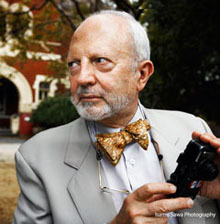 The National Trust of Australia (Victoria) today awarded Professor Miles Lewis Honorary Life Membership. Michael Peck’s citation in nominating Mile’s for what is the highest award and recognition stated. An honour long overdue and well deserved. Miles Lewis has had a profound influence on the development of the National Trust in Victoria. He has been involved since his early years, when his father Professor Brian Lewis was the first Chairman of the National Trust in Victoria in 1957, and President in the early 1960s. At that time Brian was also the founding Professor of architecture at Melbourne University. Miles’ mother Hilary, an architect, was working in the faculty and Miles and his sister, Claire, were studying architecture. From this strong and influential architectural background Miles proceeded to provide five decades of service to the Trust in Victoria and to the Heritage movement both here in Australia and overseas. Throughout that time he has made an unbroken contribution to the Trust’s work by volunteering his time and services to Board and to committee work. He has applied his profound architectural knowledge to the editing and writing of Trust publications, to report writing and expert witness appearances at Planning Panels, VCAT and the Heritage Council. member of a number of other expert and advisory groups, most notably the Buildings Committee. Miles is the foremost architectural historian in Australia; he is Professor in the Faculty of Architecture, Building & Planning at the University of Melbourne. His outstanding intellect provided rigour and academic discipline to the Trust’s classification work, and he has provided thousands of hours of expert advice on the acquisition and conservation of Trust properties. Additionally Miles has published numerous academic articles and papers on architectural and building history, urban conservation, urban renewal and housing policy, as well as the invaluable Australian Architectural Index now available online. ‘Philosophy of Restoration’, in Heritage and Conservation: the Challenges in the Pacific Basin published by the Australian Council of National Trusts in 1990. In 1968 Miles was inaugural Chair of the Trust’s Maldon Committee. Its task was to influence the Town and Country Planning Board in preservation of the town. The Trust’s subsequent report Proposal for the Conservation of Maldon led to an Interim Development Order in 1970 to prevent adverse development and to the classification of Maldon as the first Notable Town. Miles was a founding member in 1976 of the Australian National Committee of International Council on Monuments and Sites, and subsequently its Chairman, and Miles substantially contributed to the writing of the Australian ICOMOS Burra Charter. More broadly we can say of Miles that he was educated at Melbourne Grammar School and Melbourne University; won a University of Melbourne Special Award 1966-1969; and was appointed full-time at Melbourne University from 1970. Miles was joint recipient of the Royal Australian Institute of Architects Robin Boyd Environment Award in 1973, won the Walter Burley Griffin Award in 1982; Royal Australian Planning Institute [Victoria] Award for Excellence in 1994; Royal Australian Planning Institute [National] Occasional Special Award in 1995; he was made a Member of the Order of Australia in 2002; was awarded a Centenary Medal in 2003 for service to Australian society and the humanities, and made Honorary Life Member of the Comité International d’Architecture Vernaculaire in 2005. For service to architectural history, heritage protection and urban planning, particularly through policy development and professional organisations. In the same spirit as that citation, that I am delighted to support the Board recommendation that Prof. Miles Lewis be made an Honorary Member of the National Trust of Australia (Victoria).